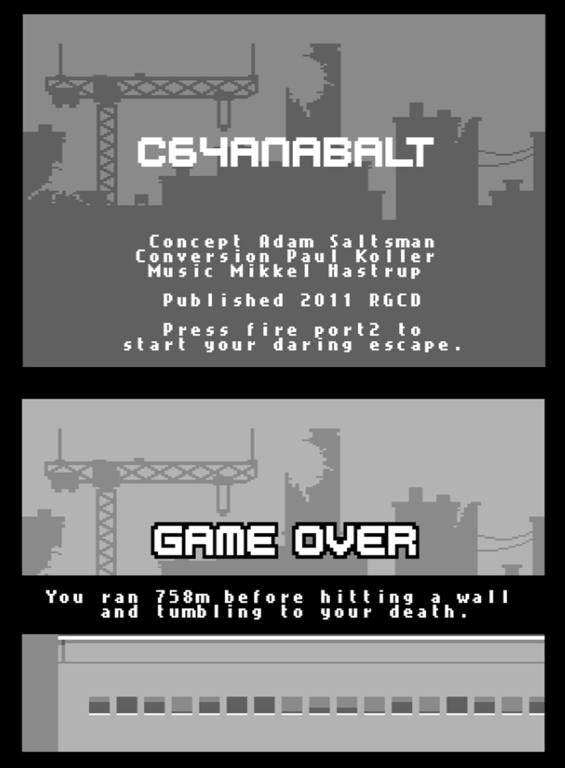 C64anabalt is an official conversion of Adam ‘Atomic’ Saltsman and Danny Baranwsky’s single-button indie flash game called Canabalt. The Commodore 64 conversion of the game started as an exercise in porting the original game to the C64. It was carried out by Paul Koller who later submitted it to the 2011 C64 16KB Cartridge Game Development Competition in which it received a second place. 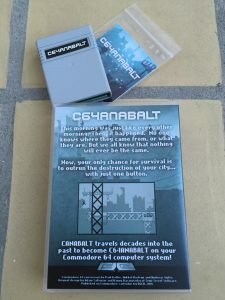 The C64anabalt name was suggested by Adam Atomic and the C64 game has some minor differences compared to the original flash game. 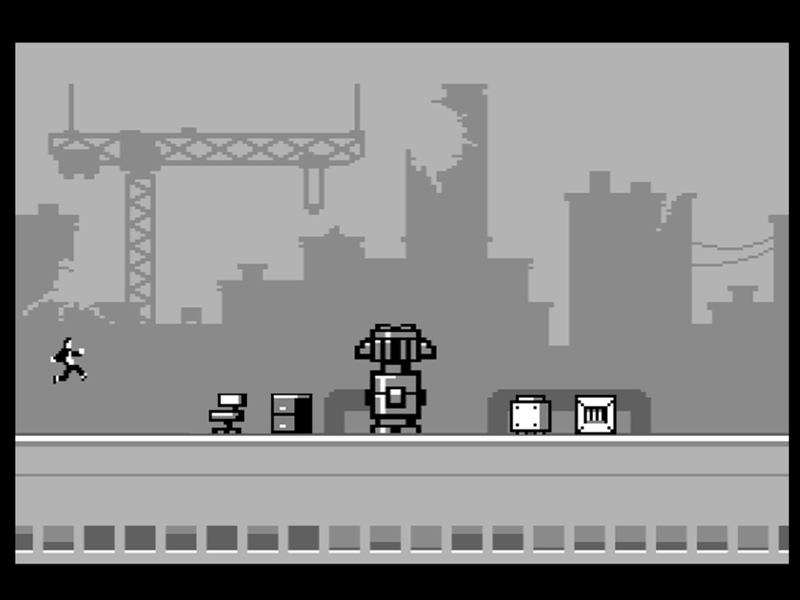 As the Commodore 64 has a narrower screen and lacks vertical scrolling, some of the procedural parameters relating to the building generation and jump height had to be slightly adapted. Furthermore, two versions of C64anabalt are available. One has Mikkel Hastrup’s (Encore) SID chip conversion of Danny Baranwsky’s original music while the other features music from the PC indie game ThrustBurst by Andreas Slotte (Ghormak). The game comes on two versions as only one tune could be fitted onto a 16 KB C64 game cartridge. Each version can be chosen when ordering the cartridge game or when downloading it for free on RGCD’s website. 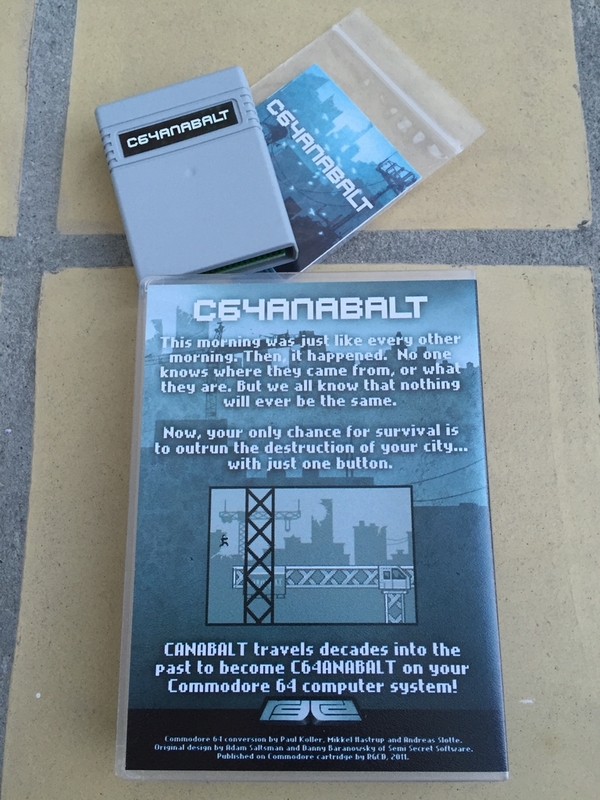 C64anabalt is a very simple one-button game. 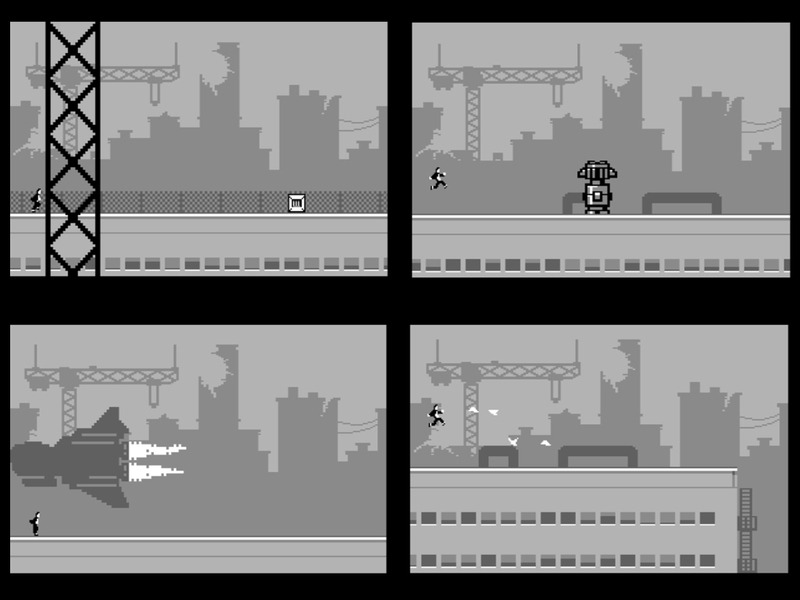 The anonymous game character automatically runs forward at increasing speeds as buildings collapses around him. Do not go down with them as this will kill you! Jumping is done by pressing the fire button. 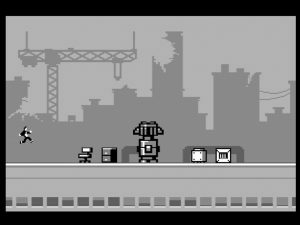 As you escape the falling city, flying birds take their flight as you approach them, screaming enemy jets will pass you and sheets of glass will try to hinder your sight as the next deadly obstacle approaches. To avoid death you must avoid contact with bombs which will explode upon contact. Boxes and furniture slows you down which can be used to control speed or, if not careful, make it impossible to make the next jump. 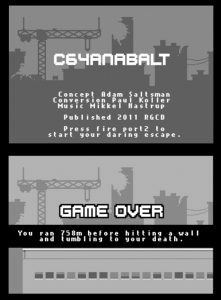 There is just one level in C64anabalt and death is inevitable! Your goal is simply to survive as long as possible by covering as much ground as you can by the push of a single button. Simple as that! This is a video of the gameplay of the cartridge game. 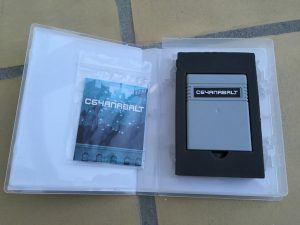 The physical format of the game is on a Commodore 64 game cartridge. It is compatible with the C64 Games system as all controls are made with joystick inputs. I have the deluxe package version of C64anabalt (Encore musci version) which came in a modified plastic Universal Game Case with a custom made foam insert, a game manual and a RGCD sticker. I really really like the way the game is presented. 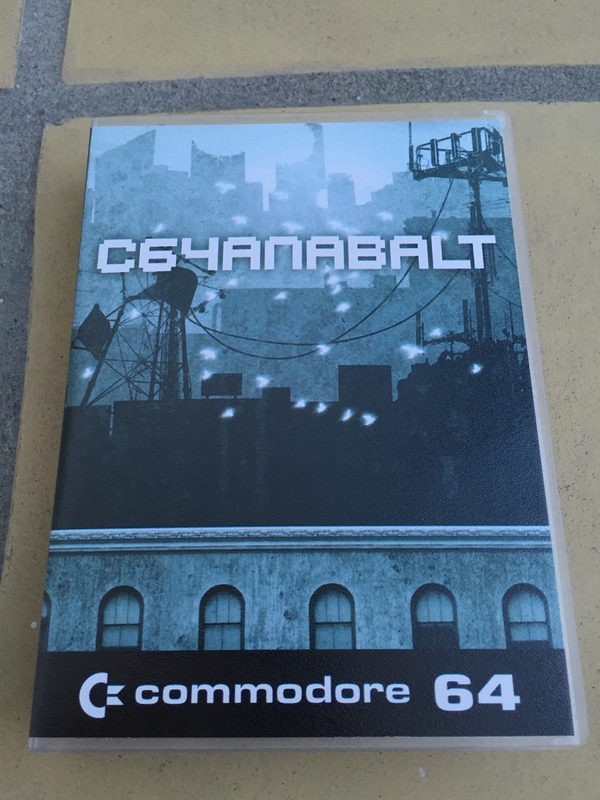 C64anabalt is compatible with both PAL and NTSC Commodore 64’s. However, on NTSC systems the game lacks the static parallax background cityscape (the background scrolls instead) and it stutters slightly at high running speeds (due to the NTSC machine having less CPU time available). In my humble opinion, the iOS version of Canabalt falls into the category of time killing games as a complete game only takes a few minutes (or seconds depending on your skills). I usually have time set aside when playing retro games and I therefore kinda miss something when playing it on the Commodore 64. Maybe the abillity to pass levels as I get better, collect special prices during gameplay or maybe some kind of finish screen if the game has an end (which I do not believe it has). There is no reward other than beating your last highscore. Thus, the ‘lastability’ of C64anabalt may be somewhat limited. 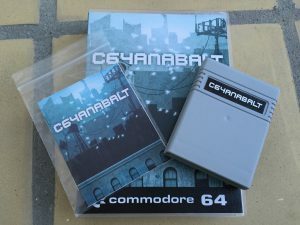 I have had the C64anabalt cartridge permanently placed in my Commodore 64 Games System for quite some time now. I do not know what it is that is so compelling about it. On the one hand, the game has a really easy concept – hit a button to jump over obstacles and leap gaps in order to get as far as you can before you die. On the other hand it is exceptionally difficult to master and soooo frustrating when you die (which I keep doing again and again and…) and have to start all over. The atmosphere of the original game is definately maintained on the C64 port. The same holds true for the stunning graphics and sound which creates the perfect feeling of being chased. The packing is exceptional and a very nice addition to my C64 games collection. 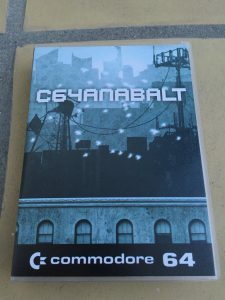 C64anabalt is a beautiful port of the original game and a great game title that may serve better as a cool party game with friends than a game I would sit down and play alone for hours. Nevertheless, the game is simple in its form, extremely difficult to master and very addictive! How far can you go before the destruction of the city takes you down?